(with Ali Malik). Presentation to Law/Art/Culture Symposium. Osgoode Law School. September 14. Law’s Plurality: Narrative, Gender, Cultures. International Graduate Centre for the Study of Culture, University of Giessen, Germany. Presentation to International Intellectual Property Course. 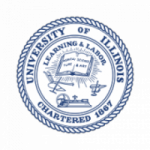 University of Illinois at Urbana–Champaign Law School, Champaign, Illinois, United States. 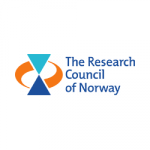 The Collaborative for Cultural Heritage Management and Policy Conference: “Entrepreneurial Heritage and the Information Economy,” University of Illinois, Champaign-Urbana, Champaign, Illinois, United States, April 23, 2015. (with Ali Malik). Geographical Indications in Asia and Beyond: Perspectives on Trade Development and Culture. Centre for Asian Legal Studies, National University of Singapore. “Language and Political Economy Revisited: Neoliberal Frontiers,” Institute for International Studies, Franke Institute for the Humanities, University of Chicago, United States. Critical Cultural Heritage Studies Symposium, Australian National University, Canberra, Australia. ISP Grant, Research Council of Norway, Røros, Norway. 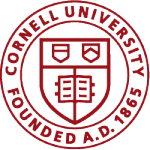 Intellectual Property in the Global South Roundtable, Department of Anthropology, Cornell University, Ithaca, New York, United States. Measures and their Meanings Symposium, Nordens Hus, Reykjavik, Iceland. (with Marc Griebel). Alternative Property Practices Symposium, International Institute for the Sociology of Law, Oñati, Spain. Centre for Intellectual Property Policy, McGill University, Montreal, Quebec, Canada. Sociolegal Studies Graduate Program Speaker Series, York University, Toronto, Canada. (with Eugenia Kisin). 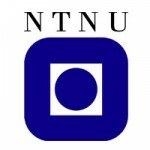 Cultural Logic of Facts and Figures Symposium, Department of Social Anthropology, Norwegian University of Technology and Science, Trondheim, Norway. Keynote lecture. 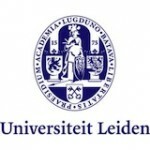 External Perspectives on Law: Designing a Research Masters for a New Era, University of Leiden School of Law, Leiden, Netherlands. Indigenous Peoples, Cultural Commodification, and Self-Determination, Liu Centre for Global Issues, University of British Columbia, Vancouver, Canada. Globalization and Cultural Policy Symposium, York Centre for Law and Public Policy, York University, Toronto, Canada. The Victoria Colloquium in Political, Social and Legal Theory, University of Victoria, Victoria, British Columbia, Canada. Faculty Colloquium, Department of Anthropology, Stanford University, Stanford, California, United States. 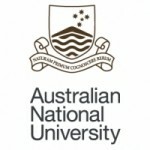 Faculty of Law, Intellectual Property Scholar’s Group, University of New South Wales, Sydney, Australia. Brand New Worlds Conference, University of California, Davis, United States. Culture, Rights, Identity: Interfaces Between Law and the Humanities Symposium, Osnabrück, Germany. Canadian Intellectual Property Scholar’s Academy, University of Ottawa, Canada. Neoliberal Regimes and Institutions of Knowledge Production, Dept. of Communication and Culture, Indiana University, Bloomington, Indiana, United States. The Digital Return Conference, Museum of Natural History, Smithsonian Institution, Washington, D.C., United States. Intersections of Rights and Laws: Environment, Livelihood and Self-Determination. University of London, Department of Anthropology, London, United Kingdom. Program in Human Rights Collaboratory: Cultural Heritage Workshop, Stanford University, Stanford Centre for Archaeology, Stanford, California. Keynote Lecture (with Carys Craig). Feminisms and Appropriations Workshop, University of Toronto Department of Women’s Studies, Toronto, Canada. University of Osnabruck Summer School on Law, Language and Culture,University of Osnabrück, Osnabrück, Germany. Commentator and Discussant, Georg-August-Universität Göttingen, Göttingen, Germany. Intellectual Property, Normative Orders and Globalization Conference, Institute for Advanced Studies in the Humanities, Goethe-Universität, Frankfurt, Germany. Feminists Engagements with the Return to the Commons Conference, University of Kent, Kent Centre for Law, Gender and Sexuality, Canterbury, United Kingdom. Stellenbosch Institute for Advanced Study Fellows Symposium, Stellenbosch University, South Africa. International Trade in Indigenous Cultural Heritage: Legal and Policy Issues Workshop, University of Lucerne, Luzern, Switzerland. Canada Research Chairs: Thinking Ahead For a Strong Future, Metro Toronto Convention Centre, Toronto, Ontario, Canada. Department of Anthropology Faculty Workshop, University of Toronto, Toronto, Canada. Keynote Address: Music and Indigeneity Conference, Columbia University, Center for Ethnomusicology, New York, New York, United States. International Society for the History and Theory of Intellectual Property, Washington, D.C., United States. Intersection of Trade and Human Rights in Indigenous Intellectual Property panel, York Centre for Public Policy and Law, York University, Toronto, Canada. 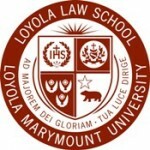 Loyola Law School Intellectual Property Symposium, Loyola Law School, Los Angeles, California, United States. The Americas Forum, Wesleyan University, Middletown, Connecticut, United States. Globalization & Social Justice Workshop, University of Toronto Faculty of Law, Toronto, Canada. Convergences: International Summer School for the Cultural Study of Law. University of Osnabrück, Osnabrück, Germany. Virtual Worlds Forschergruppe, Jurische Institute, Georg-August-Universität Göttingen, Göttingen, Germany. (with Andrew Herman). The Construction of Immateriality: Practices of Appropriation and the Genealogy of Intellectual Property, Università Bocconi, Milan, Italy. International Law Workshop, Georg-August-Universität Göttingen, Göttingen, Germany. DFG-Forschergruppe Cultural Property Colloquium Series, Institute for European Ethnology, Georg-August-Universität Göttingen, Göttingen, Germany. Inheriting the World: Concepts and Practices of Intergenerational Transfer in Global Cultural Policy,” a Workshop at the Zentrum für Literatur- und Kulturforschung, Berlin, Germany. 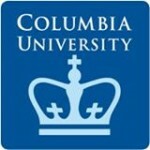 Columbia University Society of Humanities, Columbia University, New York, New York, United States. Baldy Centre for Law and Policy, Legal Geography Workshop, Buffalo, New York, United States. Plenary Panel “Law’s Technologies: Critical Inquiries into the Domains of Science, Capital and Regulation.” Law and Social Sciences in South Asia, Jawaharlal Nehru University, New Delhi, India. Legal Geographies of Cultural Rights. President’s lecture, sponsored by the Department of Anthropology and the Law and Society Working Group, University of British Columbia, Canada. Transnationalism, Development and Rights, Centre for International Law and Political Economy Symposium, Osgoode Professional Development Centre, Toronto, Canada. Centre for Studies of Religion, University of Victoria, British Columbia, Canada. Department of Anthropology Colloquium Series, Wilfred Laurier University, Waterloo, Ontario, Canada. University of Alberta Faculty of Law, Edmonton, Alberta, Canada. Centre for the Study of Religion and Society, University of Victoria, British Columbia, Canada. Department of Sociology Seminar, Queen’s University, Kingston, Ontario, Canada. Department of Anthropology, McMaster University, Hamilton, Ontario, Canada. Global Cultural Flows Research Development Initiative Symposium, University of Quebec at Montreal, Quebec, Canada. Plenary Session, Canadian Anthropology Society Annual Meetings, London, Ontario, Canada. Conference on Global Cultural Flows, Robarts Centre for Canadian Studies, York University, Toronto, Ontario, Canada. Development Colloquium, Munk Centre for International Studies, Toronto, Ontario, Canada. 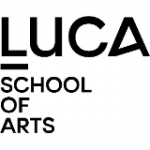 Transmedia Post-Graduate Program, Hogeschool Sint-Lukas Brussel, Brussels, Belgium. Department of Anthropology Colloquium, York University, Toronto, Ontario, Canada. Invited discussant on the Society for Cultural Anthropology Plenary Panel, American Ethnological Society/Society for Cultural Anthropology/ Canadian Anthropology Society Annual Meetings, Laval, Quebec, Canada. 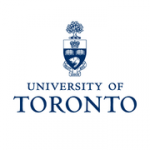 Human Genome Project Symposium, University of Toronto Faculty of Law, Toronto, Ontario, Canada. Founders College Lecture Series, York University, Toronto, Ontario, Canada. McGill Women and the Law Equity Symposium, McGill University Faculty of Law, Montreal, Quebec, Canada. Doctoral Programme in Humanities, Concordia University, Montreal, Quebec, Canada.